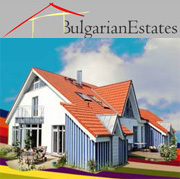 Two-room apartment is for sale located only about 150 m from the beach in Sunny Beach, Bulgaria. Sunny Beach is the largest sea resort in Bulgaria. It is located 38 km north of Bourgas and 90km from Varna. The resort is located within a small bay, and its northern part reaches the Stara Planina Mountain /Old Mountain/. The beaches stretches on 8 kilometers and reaches 60 meters in width, the sand is fine and clear, golden color, forming dunes in some places. In 2003, 5 kilometers from the resort was opened the largest water park. Sweltering heat is unprecedented, thanks to the soft sea breeze and the proximity of the mountains. 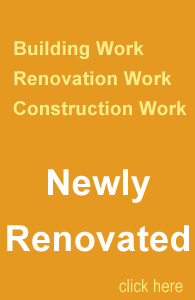 The apartment which we are offering is located opposite the hotel “Kotva”. The building has own swimming pool. The apartment is with one bedroom with view to the swimming pool. It is on the third floor and provides a wonderful terrace and it is for sale with the furnishing. The area is beautiful and the place is quite great for relaxation. 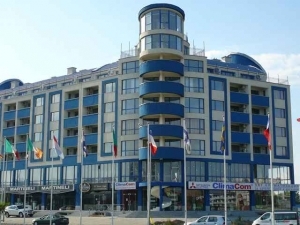 The building is about 150 meters from the beach and approximately 3 km from the center of Sunny beach. Nearby is located the historical town of Nessebar( about 800 meters). In Nessebar you will find a lot of places to visit and will be interesting for you to learn the history of this unique seaside ancient area.